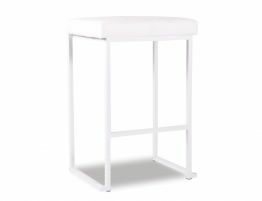 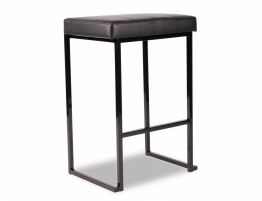 The Cantona stool embodies modern minimalist design aesthetics. 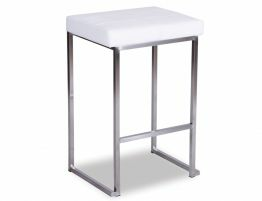 The Cantona's lavishly-padded commercial grade vinyl seat is smooth to touch and soft to sit on. 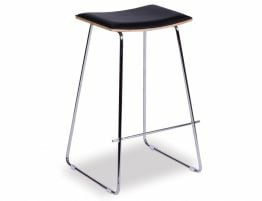 Without a backrest, you can sit on the Cantona facing any side. 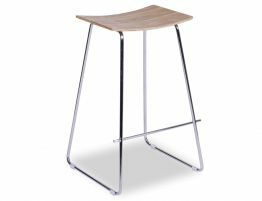 The Cantona's stylish stainless steel black base delivers high sturdiness whilst the footrests on all sides add additional seating enjoyment. 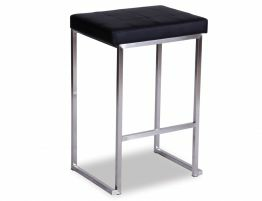 Incorporating elegant modern styles and latest design, the Cantona bar stool will adapt beautifully to any home or commercial decor and complement your modern interior.